CARLSBAD, Ca. 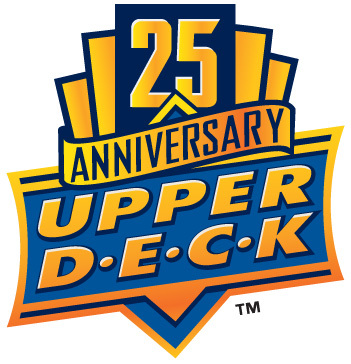 (February 28, 2014) – – Upper Deck, the trend-setting industry leader in sports and entertainment trading cards and authentic sports memorabilia, begins its 25th anniversary celebration this week with several announcements for 2014 and by rewarding its fans through multiple contests hosted on its social media platforms, beginning Friday, Feb. 28. Upper Deck has set the industry standards for quality craftsmanship, authenticity and innovation since its first baseball cards were placed on shelf at a Tulsa, Okla. card shop this week in 1989. The original cards featured high-quality glossy card stock, premium-quality photography and never-before-seen anti-counterfeit holograms. Among the activations planned to celebrate its silver anniversary, Upper Deck will unveil a 250-card, 25th-anniversary multi-sport set, utilizing a design similar to its inaugural 1989 baseball card set, this summer. Upper Deck will also distribute special 25th anniversary autograph, dual autograph and quad autograph cards randomly to Upper Deck Certified Diamond Dealers as a thank-you for their support over the years at the 2014 Las Vegas Industry Summit in March. The National Hockey League (NHL®) and the National Hockey League Players’ Association (NHLPA) announced yesterday that they have agreed on multi-year agreements with Upper Deck to be the exclusive licensed manufacturer of NHL® Trading Cards, beginning with the 2014-15 season. In addition, the company has reached an exclusive agreement with the legendary Wayne Gretzky, widely regarded as the best player in hockey history, for autographed memorabilia from the Upper Deck Authenticated branch of the company. Gretzky returns to Upper Deck Authenticated for the first time since 2000, and joins sporting legends Michael Jordan, LeBron James, Tiger Woods and Rory McIlroy as exclusive Upper Deck signers. On the entertainment side, Upper Deck will expand its gaming business with the release of brand-new versions of its highly popular Legendary™ Deck Building Game, including a new Marvel release and a 20th Century Fox licensed Alien Encounters release this August. In addition, Upper Deck is thrilled to announce the return of the award-winning Marvel Masterpieces trading card set. Comic fans and collectors are going to be even more excited to hear that the entire set will be comprised solely of original art by none other than renowned artist Joe Jusko himself. Upper Deck plans to include its most loyal fans in the 25th anniversary celebration with a series of social media contests and promotions. A “Happy Birthday Upper Deck” contest will run through March 28 in which fans can create videos of themselves singing “Happy Birthday” to Upper Deck. One fan chosen for creating the best birthday tribute will receive a $2500 credit for a shopping spree at the Upper Deck Store (www.upperdeckstore.com) where they can score items like the LeBron James-autographed “Breaking Through” picture, a Tiger Woods/Rory McIlroy dual-autographed “Focused” picture, or a Wayne Gretzky-autographed and framed “The Show” framed piece. Videos lasting no longer than one minute should be posted to YouTube, and links emailed to Upper Deck at UpperDeckMarketing@upperdeck.com, posted on Upper Deck’s Facebook timeline (www.facebook.com/UpperDeck) or tweeted to @UpperDeckSports on Twitter using the hashtag #UpperDeck25. A selected panel from Upper Deck’s marketing team will judge each video based on overall quality, creativity and use of Upper Deck product in the video. Upper Deck’s second contest, which will run through March 4, invites fans to offer Happy Birthday wishes to Upper Deck on Upper Deck’s Facebook timeline (www.facebook.com/UpperDeck) or Twitter feed (@UpperDeckSports) using the hashtag #UpperDeck25. Twenty-five posts will be randomly selected to receive a free limited edition 25th Anniversary T-shirt and 25 packs of assorted 2014 Upper Deck trading cards. To make it even more compelling, Upper Deck will be surprising five of the randomly selected winning entries with a signed piece of memorabilia or card product valued at $250, in addition to the limited edition anniversary shirts and packs. 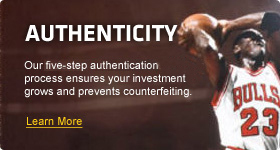 For 25 years, Upper Deck has consistently managed to successfully reinvent its card lines through its original, state-of-the-art innovations – from its introduction of the glossy, high-quality card stock featuring anti-counterfeit holograms and pictures on the card’s front and back to certified autograph cards to cards containing game-used jerseys and equipment to digitized and micro-chipped video cards, among countless others. Upper Deck strives to continue promoting the family-fun hobby of sports- and entertainment-card collecting and blazing a trail forward in the sports and entertainment trading card industry. Upper Deck, headquartered in Carlsbad, Calif., is a worldwide sports and entertainment company built on the pillars of quality craftsmanship, authenticity and innovation with a dedication to creating products that turn memorable moments into collectibles. Upper Deck revolutionized the sports trading card experience with anti-counterfeit holograms, high quality card stock and stunning photography in its inaugural 1989 baseball set, and since then its mission has been to capture the excitement of the game and deliver it to fans of all ages. The cornerstone of Upper Deck’s business, which opened in 1989, is based on sports trading cards. As its brand has evolved to include other products over the years, the company now creates exclusive memorabilia, gaming products, collectible cards and a wide array of sports trading cards. Find more information at www.upperdeck.com, www.UpperDeckBlog.com or follow us on Facebook (UpperDeck), Twitter (@UpperDeckSports), and YouTube (udvids). Copyright © 2017 The Upper Deck Company, a Nevada corporation. All Rights Reserved. 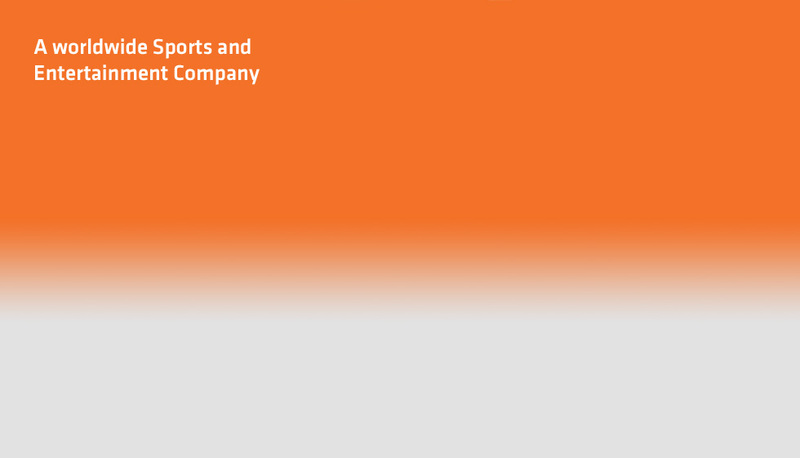 All ™ and ® are the trademarks of The Upper Deck Company, a Nevada corporation.